Make visualizations that resonate with your users while avoiding the most common design mistakes. 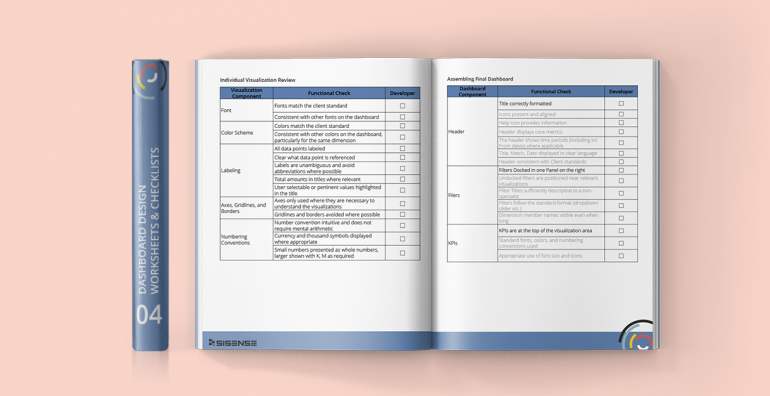 Our checklists and worksheets can help improve the results of many of your routine tasks and help you deliver meaningful dashboards everyone can use. Consolidate everything you need to deliver the best data visualizations and then check them off, one by one, in order to guarantee that your end users are getting the best dashboard designs you can deliver. Prevent simple mistakes and improve dashboard standards by using these simple checklists and worksheets.